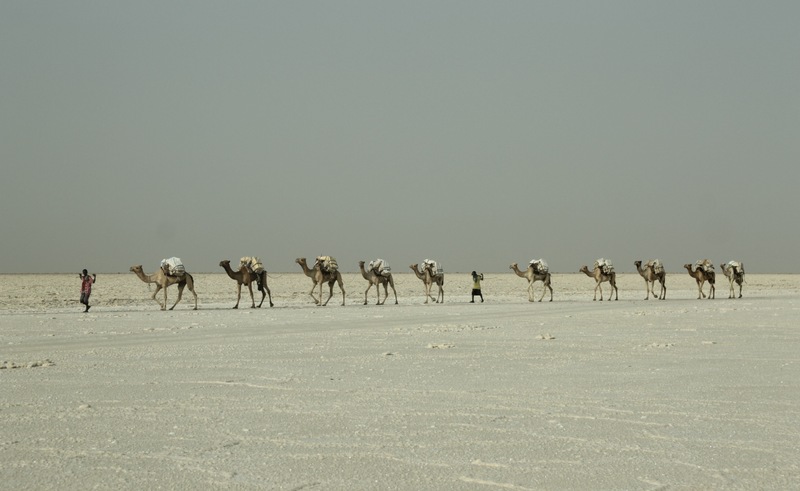 Danakil Depression sounds like a personality disorder that would likely get you some time off work, but it is actually a large area of Northeastern Ethiopian that straddles the Eritrean border. Many points drop below 100m making it the hottest place on earth (apparently), the lowest point in Africa and as they say, one of the most inhospitable regions in the world. 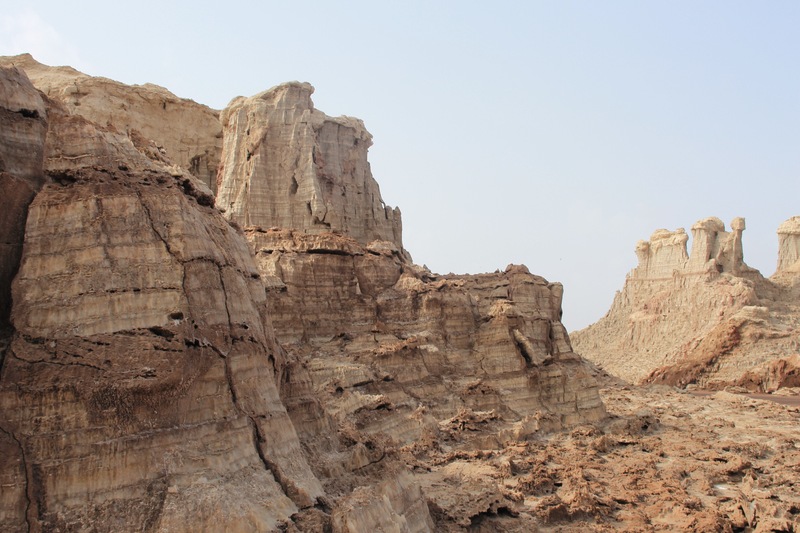 Certainly Danakil claims many superlatives, but scientifically speaking it is one of the driest and most tectonically active regions on our planet and effectively a southerly terrestrial extension of the rifting process that formed the Red Sea. 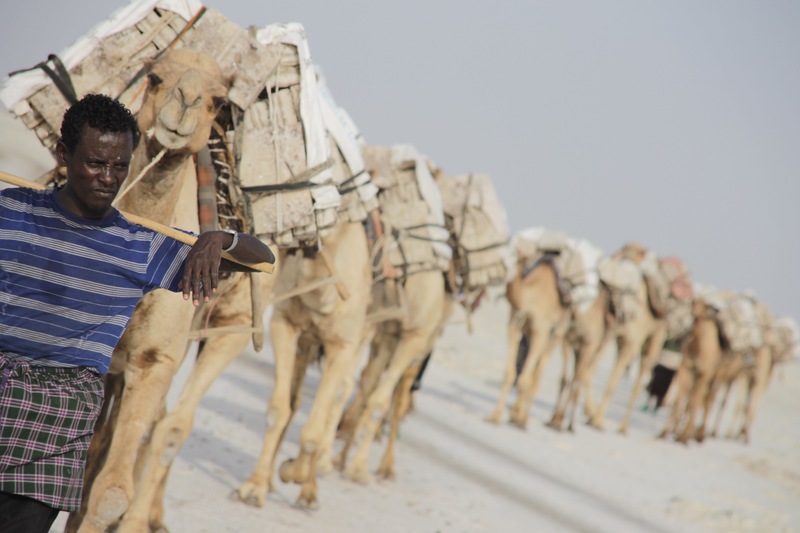 Visiting this place is a god awful small affair, but will I ever be in Northern Ethiopia again? Probably not. 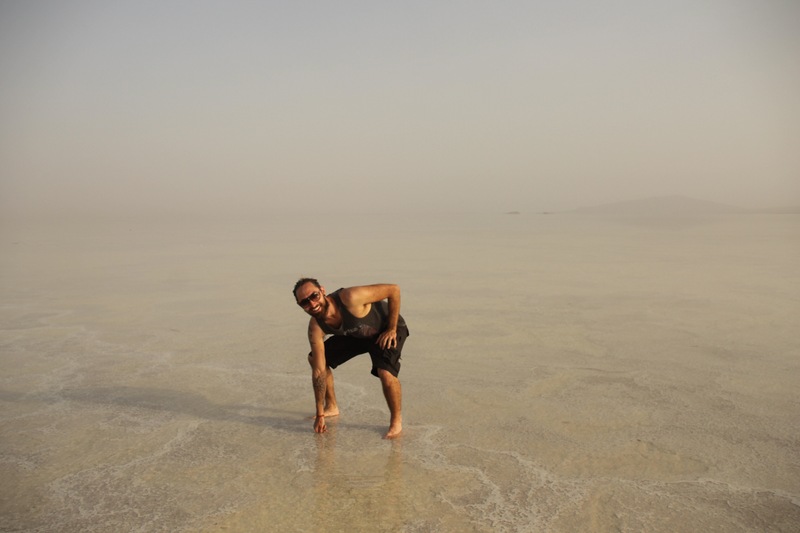 Near the settlement of Hamed Ela are the vast salt pans which were created because of the low elevation and the Danakil’s proximity to the Red Sea. 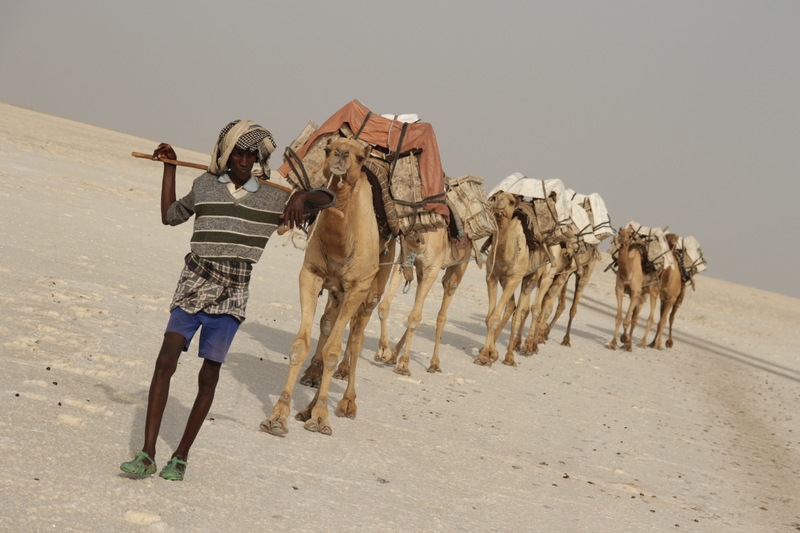 The nomadic people of the region and the oldest ethnic group in Ethiopia known as the Afar, mine salt from this area and ferry it to and from Mekele with their camel caravans, a round trip takes fourteen days. Workers here have struck for fame and are very high earners by Ethiopian standards, still doesn’t stop them demanding money for photos, how tight can you get! 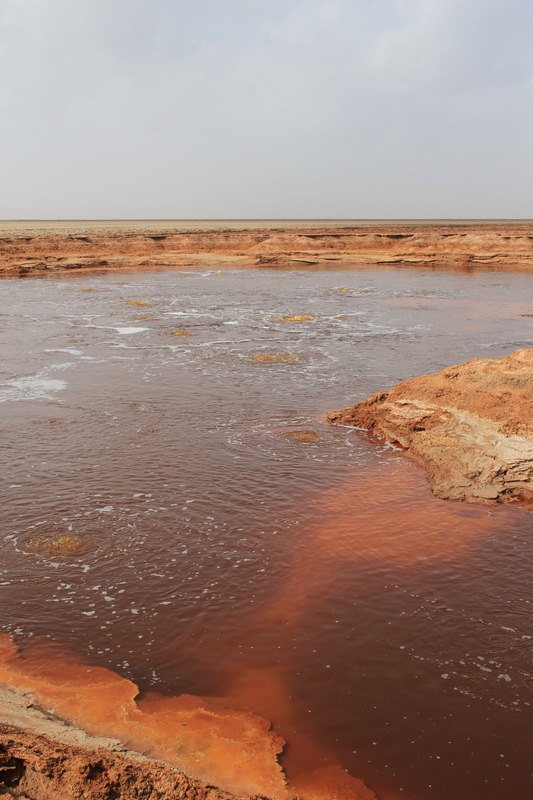 Salt Lake Asale is officially the lowest point in Africa at 116m below sea level and is thought to be haunted by the evil spirit Abo Labo. The only thing haunting about this experience is the chafing I’m getting between John Wayne’s hairy saddle bags. 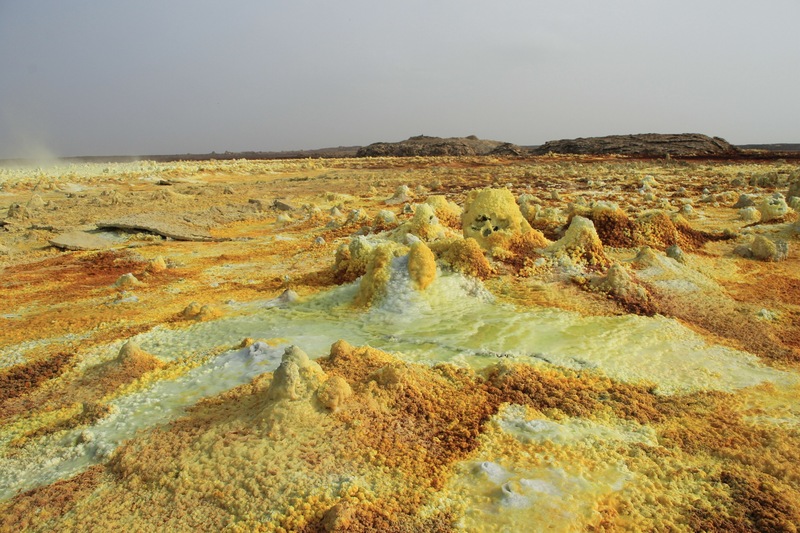 Dallol means colourful place in the Afar language. 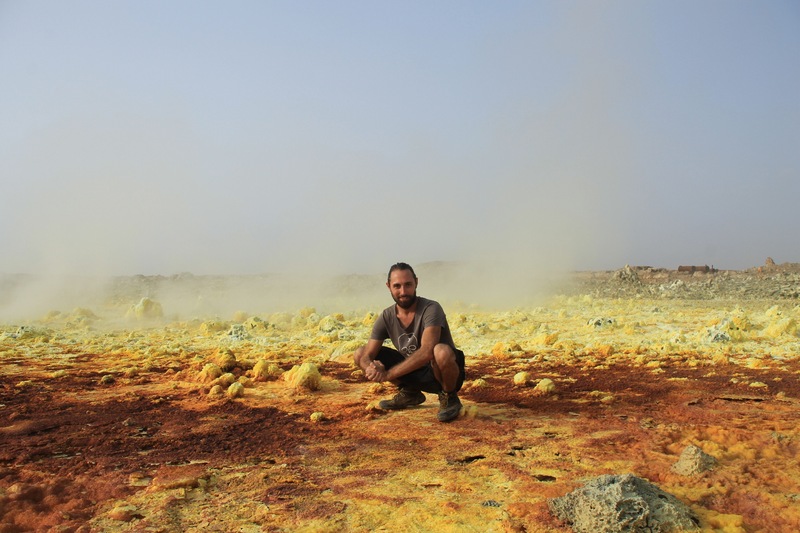 As you walk through this field of sulphurous hot springs not only does it smell like Ethiopian omelettes but you can also hear the bubbling chemical reactions taking place under your feet. 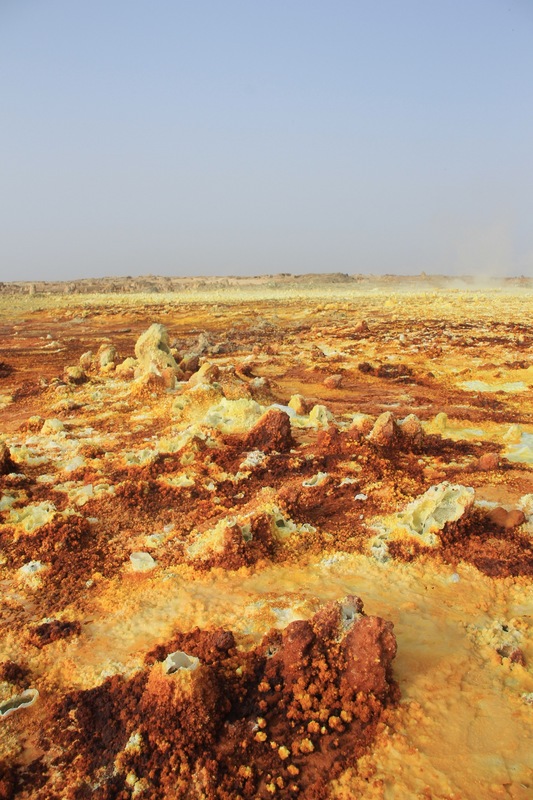 The freakiest show in the Danakal wouldn’t look out of place under the sea as the zinc, potassium and sulphur deposits look strikingly like sea coral. 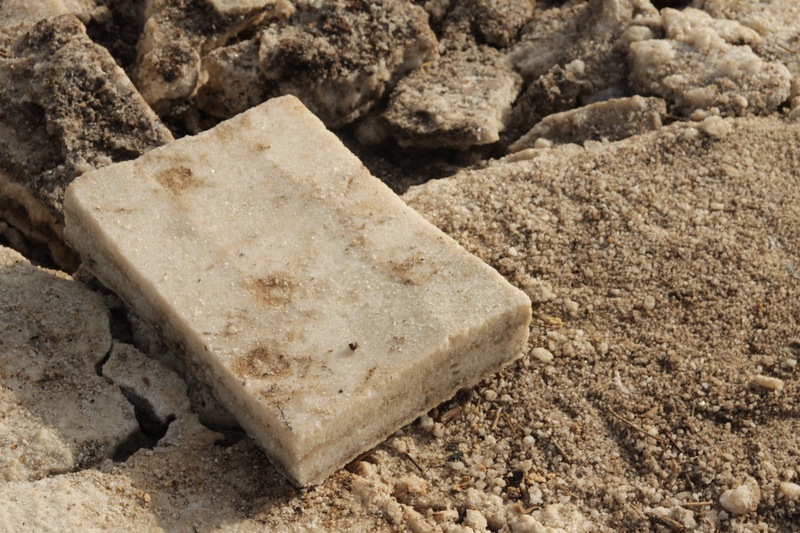 Salt mountain is a mixture of salt and other minerals which is why this is never mined by the Afar. 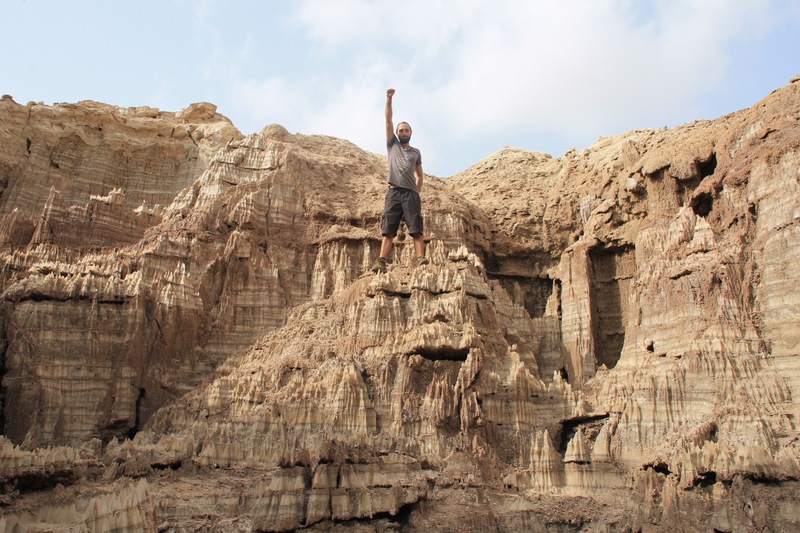 I’d be very surprised if the area had never been used for a Hollywood film set as this reminds be of so many things – Planet of the Apes, Krypton…Mars? 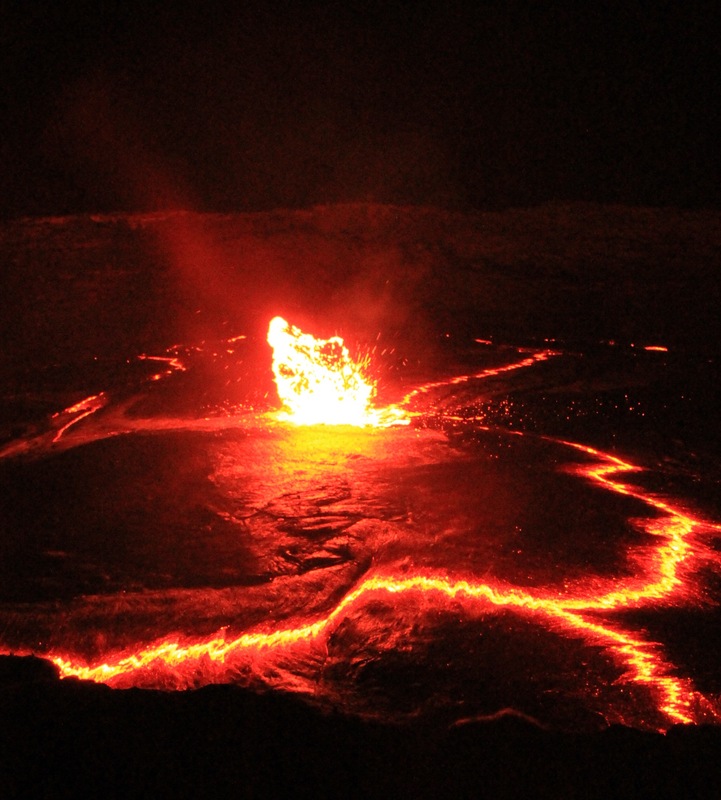 The main attraction, money shot and best selling show in the Danakil has to be the Erte Ale volcano. 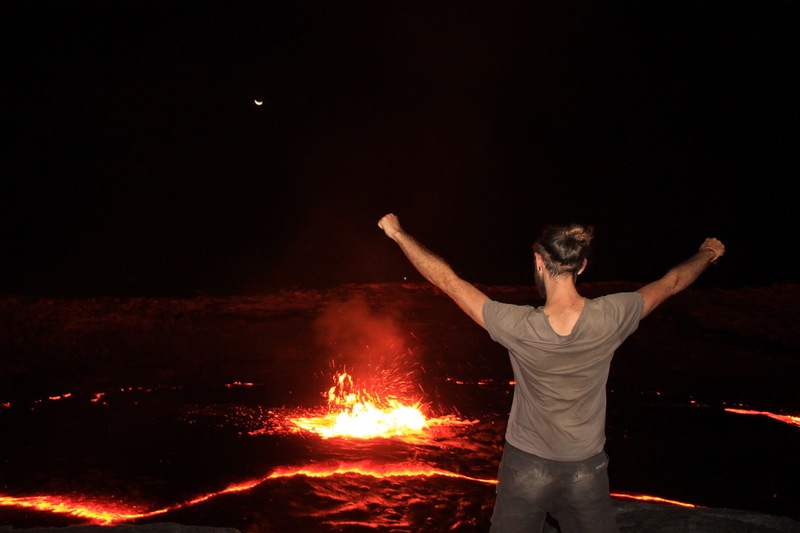 The easy three hour hike rises from below sea level to a summit of around 600m where at the top you’re rewarded with the world’s only permanent lava pit. 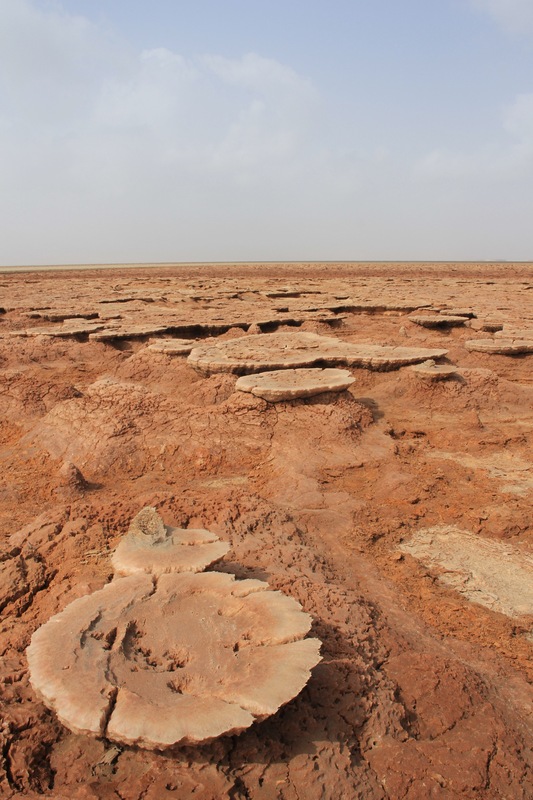 It’s believed that the crater has a continuous link to a shallow magma chamber. The locals of course have got their own ideas and assume that Erte Ale is the gateway to Hell so many of them refuse to look into it, maybe these Afar men should have a walk around Hendon in Sunderland, then they’d know what Hell really looks like. 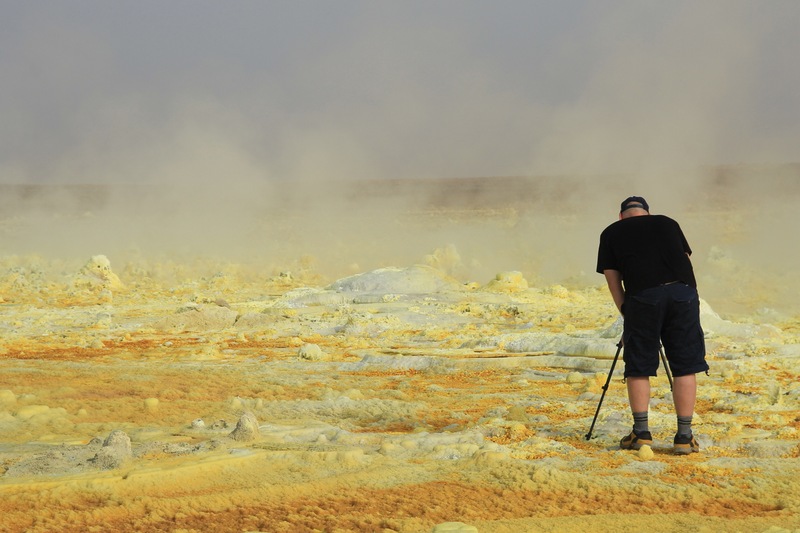 Danakil is like a geologists sunken dream, I don’t think there is anywhere in the world where bubbling potassium pools, lunar landscapes, sulphurous springs and super active volcanoes lie within within the same relatively small vicinity. Here’s another superlative, the depression is the most bizarre place I’ve ever visited from Ibiza to the Norfolk Broads! 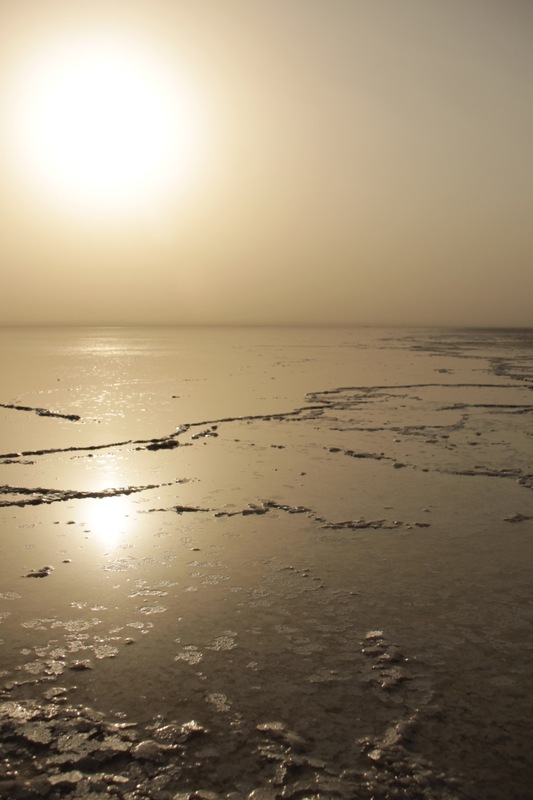 And to think that people actually exist here, it makes you wonder if there’s life here, is there life on Mars?